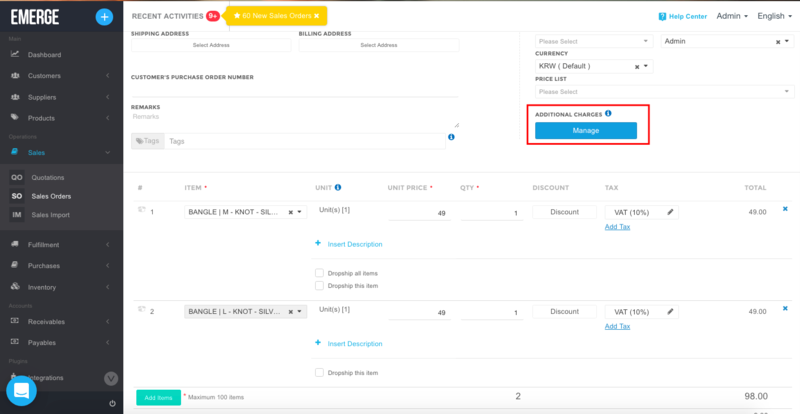 Dropship purchase improvement: Consolidate multiple product(s) from Dropship Sales Orders with the same supplier to one Dropship Purchase. 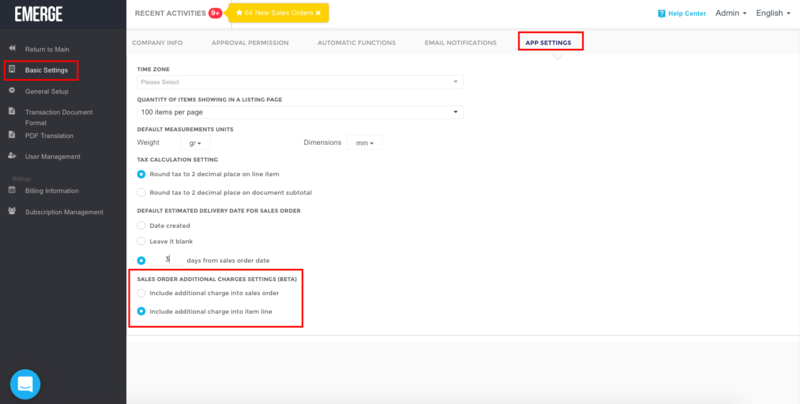 Now you can add deposit notes for customers right on their Sales Orders and use it to allocate the Invoice balance. Convenient, right? 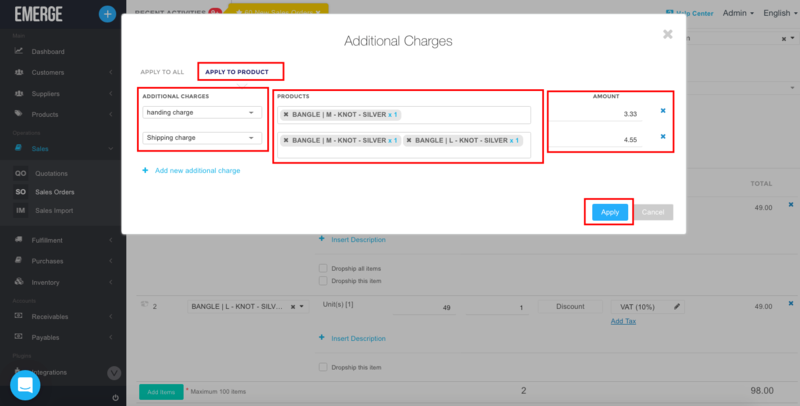 Click Use Credit Deposit for this Invoice and pay, done! 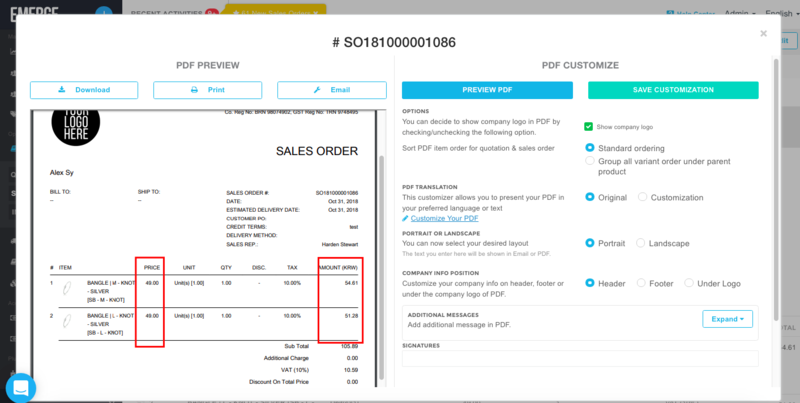 Now you have the option to display products on PDF as separate items or group them by their product variants, choose the settings and preview, see which suits you then save. 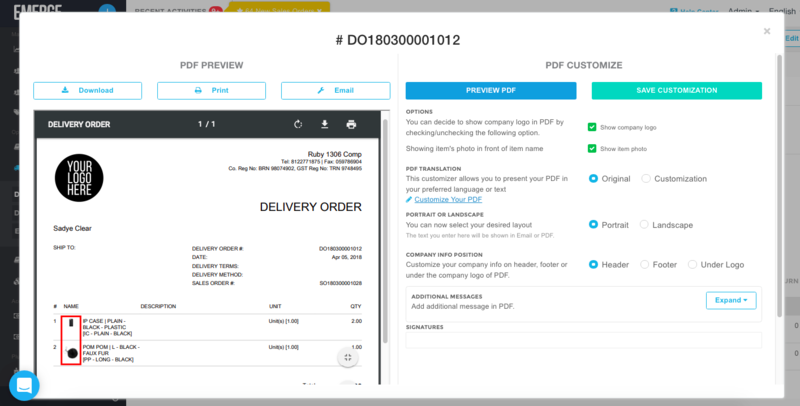 If you're producing products from components/materials, you'll have production Order PDF for data saving or print it out and send to your colleagues, just check out the PRODUCTION ORDER tab inside product detail page and you'll see them there. 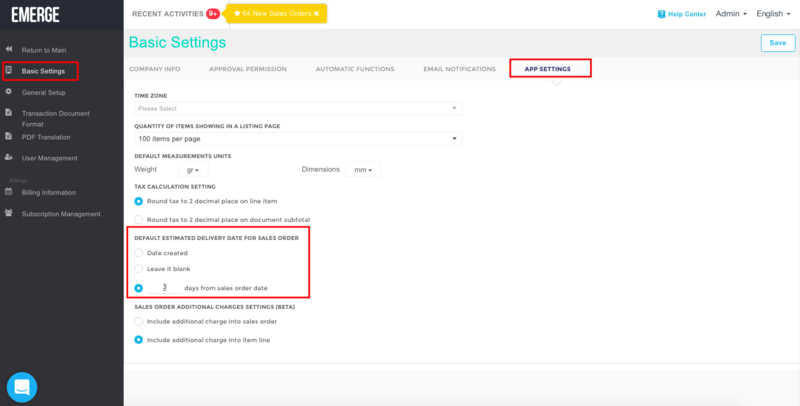 You can control the estimated date by going to Company Settings > Basic Settings > APP SETTINGS tab > DEFAULT ESTIMATED DELIVERY DATE FOR SALES ORDER, you can choose the suitable settings and save. 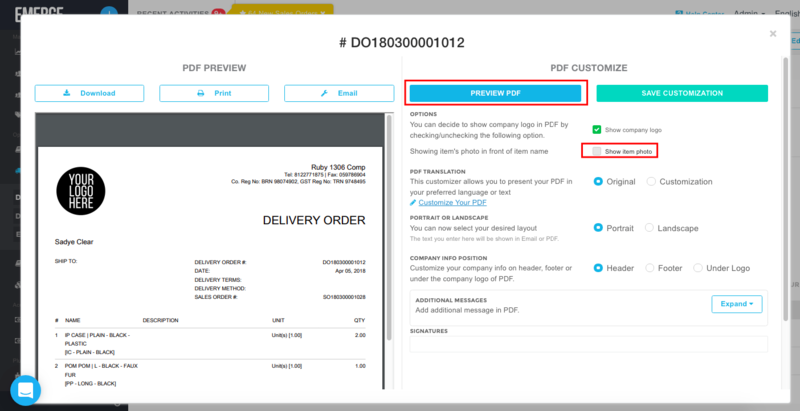 To display product photo in Shipment And Customer's Invoice PDF, choose the settings and preview, see which suits you then save. 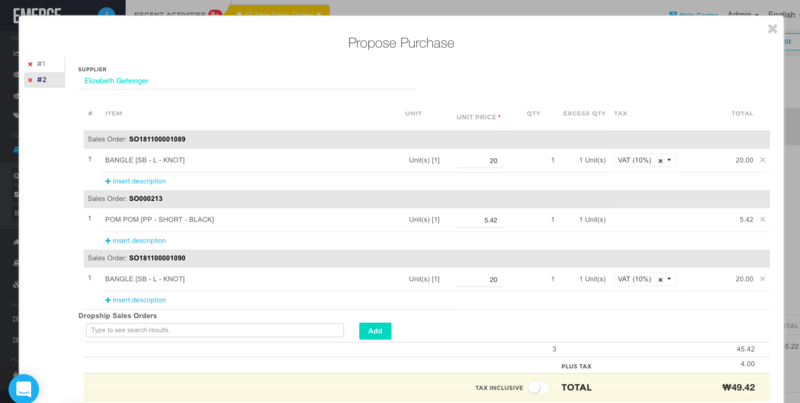 EMERGE Cart improvement: Display selling price based on customer's Default currency. You just need to setup the currency and done. 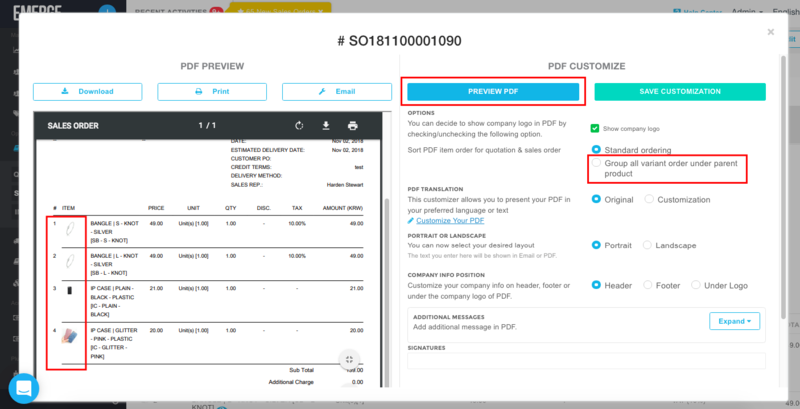 Many users want to hide some fields from the PDF default template, you can to to Company Settings > PDF Translation > Choose the document you want to hide the fields, any fields with a toggle next to it will be able to show/hide.